Prestige Bedroom completes the Day collection with essential items to furnish your home with exclusive style. 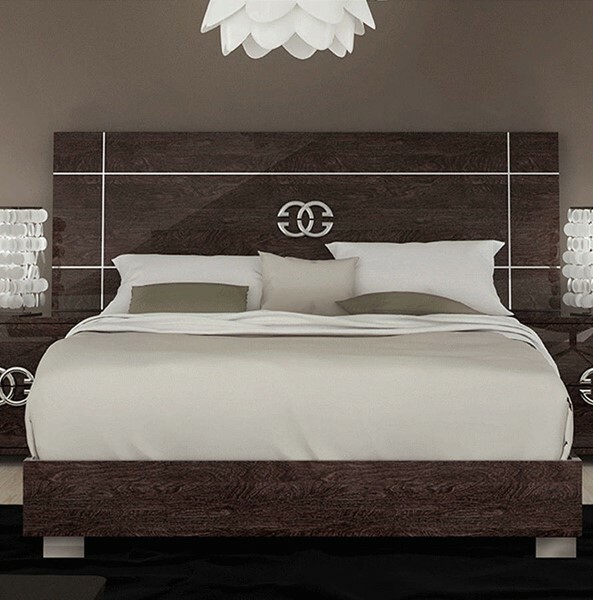 Prestige bed, elegant and sober, is also available with upholstered headboard for a more sophisticated taste. Chromed details enrich. Prestige collection with a touch of impeccable charm and artistic distinctiveness. Straight panels are in chipboard, then veneered (veneer being a thin layer of solid wood); then the veneers are lacquered using a 6 steps/layers of UV high gloss polyester lacquer.